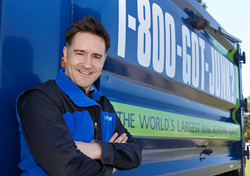 “At 1-800-GOT-JUNK?, the heart of our business is our people," says founder and CEO Brian Scudamore. For a third consecutive year, Vancouver-based junk removal company 1-800-GOT-JUNK? has been named a winner of Canada’s Top Small & Medium Employers competition. The awards were announced today in a special magazine in The Globe and Mail. Now entering its fourth year, Canada's Top Small & Medium Employers recognizes SMEs with exceptional workplaces and forward-thinking human resource policies. Employers are evaluated on the same eight criteria as the larger Canada's Top 100 Employers project: (1) Physical Workplace; (2) Work Atmosphere & Social; (3) Health, Financial & Family Benefits; (4) Vacation & Time Off; (5) Employee Communications; (6) Performance Management; (7) Training & Skills Development; and (8) Community Involvement. To determine eligibility, the Top 100 editors limit the competition to private-sector companies with under 500 employees worldwide. “This year’s SME winners provide striking examples of smaller organizations ‘getting it right’ on a range of important benefits, from maternity leave to flexible vacation policies,” says Richard Yerema, Managing Editor of the Canada's Top 100 Employers project at Mediacorp Canada Inc.
At 1-800-GOT-JUNK?, employees benefit from a range of innovative initiatives, including an “It’s All About People” employment philosophy that leverages company resources to promote a positive, inclusive culture. These include regular office-wide round tables with the C-suite, on-going mentorship and professional development plans, generous parental leave top-up plans, and Friday in-office socials. 1-800-GOT-JUNK? is pioneering an industry that helps residents and businesses remove junk and regain space. Whether it’s a pile of household junk in the garage or a warehouse full of office furnishings, 1-800-GOT-JUNK? removes it for you, making the ordinary business of junk removal exceptional. We are passionate about recycling and donating to charity. 1-800-GOT-JUNK? was founded in 1989 and now operates in close to 200 locations throughout North America and Australia. Please visit us at 1800gotjunk.com.